When will be Genius of the Modern World next episode air date? Is Genius of the Modern World renewed or cancelled? Where to countdown Genius of the Modern World air dates? Is Genius of the Modern World worth watching? 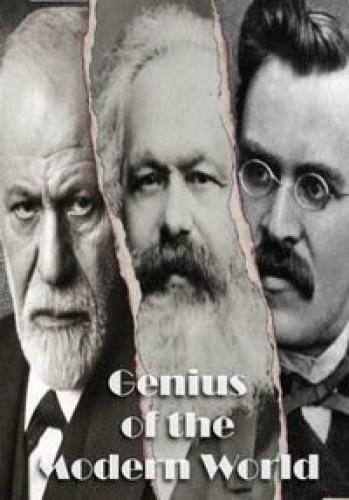 Historian Bettany Hughes retraces the lives of three great thinkers whose ideas shaped the modern world: Karl Marx, Frederick Nietzsche and Sigmund Freud.Born in the 19th century, they lived through a time when old certainties were breaking down. Regimes were overthrown by mass uprisings, science was undermining religious authority. Their challenge was to figure out what makes us human in a fast-evolving world. Marx's masterpiece Das Capital was largely overlooked in his lifetime, and only 11 people attended his funeral. Yet his ideas would generate one of the most influential, and divisive ideologies in history. Historian Bettany Hughes explores the minds of three of the greatest thinkers of the 19th century. This time she travels across Europe in the footsteps of the German philosopher, Friedrich Nietzsche. His uncompromising and often brutal ideas smashed the comfortable assumptions of religion, morality and science, yet, appropriated by the Nazis, his work is among the most devastatingly manipulated and misinterpreted in history. His philosophical quest led him to isolation and ultimately madness, but his ideas helped shape the intellectual landscape of the modern world. Historian Bettany Hughes retraces the lives of three great thinkers whose ideas shaped the modern world. This time she travels to Vienna on the trail of Sigmund Freud - the father of psychoanalysis. Freud's influence surrounds us today. We take it for granted that we should be able to talk openly about our deepest feelings, from sexual difference to our inner demons. Plus phrases such as the Oedipus Complex, repression and wish fulfillment have become part of our everyday language. Yet Freud's career was riven with controversy. His early research into cocaine almost ruined his reputation, and his theories about childhood sexuality have been fiercely debated. Freud was a pioneer in the study of the human mind. Working as a young doctor in the 1880s, he became fascinated by the medical conundrums of nervous conditions like hysteria. Believing these illnesses had deep-seated psychological causes, his psychoanalytic talking cure addressed deep-seated emotional issues that had seldom been discussed openly before. Freud believed that psychoanalysis and dream-analysis could reveal hidden aspects of the mind. It's from Freud that we get the idea of the unconscious mind, where repressed emotions, irrational primal desires, and complex feelings about our parents bubble beneath the surface of consciousness. Genius of the Modern World next episode air date provides TVMaze for you. EpisoDate.com is your TV show guide to Countdown Genius of the Modern World Episode Air Dates and to stay in touch with Genius of the Modern World next episode Air Date and your others favorite TV Shows. Add the shows you like to a "Watchlist" and let the site take it from there.